When someone does something really wonderful for you, it’s always nice to return the favor! 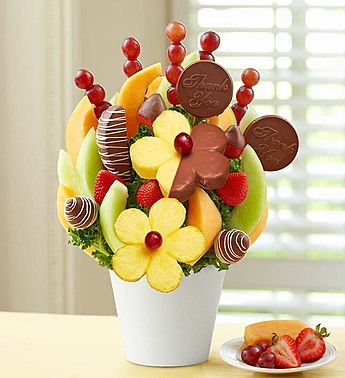 Send a sweet thank you their way with our mouthwatering fruit arrangement that arrives in a reusable tin. It’s a fun way to really let someone know how much you appreciate them.